Is the color purple harmonious with nature? That depends on who you ask: one Missouri homeowners association says a purple play set in the backyard strikes a discordant note with its environment, but the family who owns it says it fits in perfectly with fall foliage. 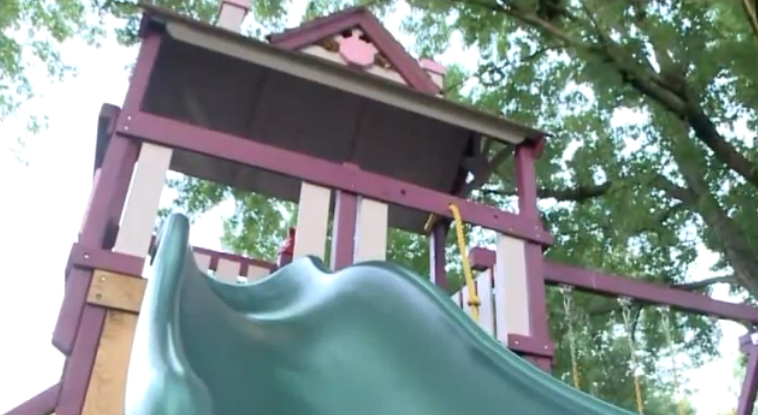 The family says the HOA has threatened to sue them over the swing set and slide. Though the owners of the purple swing set acknowledge that there are rules regarding the color of play equipment, the family says they’re not violating those guidelines. The family said it had agreed to change the color, but that every color they suggested was deemed “too pastel” by the HOA. The mom says they’ve now hired an attorney and are prepared to fight.